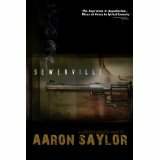 There is so much to like about Sewerville by Aaron Saylor. The characters have depth, the plot is one of lost chances, lost souls, and redemption, the story has drugs, murder, and double crossings, and there are plenty of plot twists to keep a reader flying through the pages. The setting for this far-reaching novel is Sewardville and the town is controlled by the powerful arm of Walter Slone. 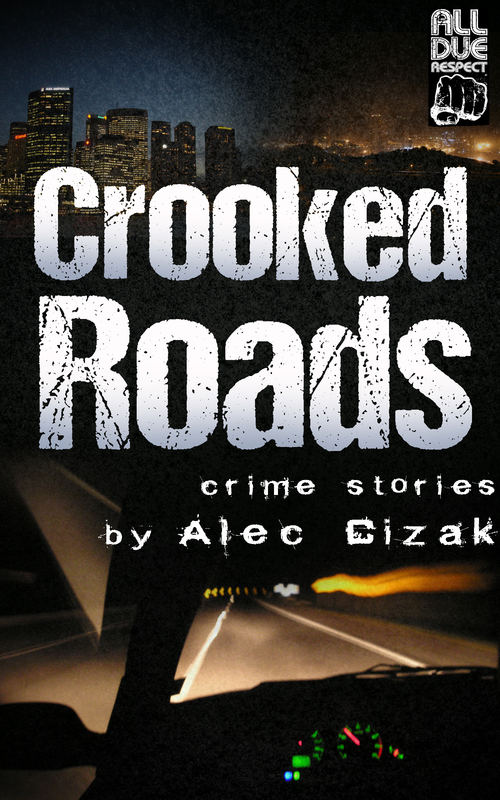 He sits as the mayor of the town, his son is the Sheriff, and the crime and drug trade is under their control. Boone is the enforcer for the town and for the family and he is the main character. Nothing goes on in the town without the Slone family approval. But when events that are not condoned by the family begin to happen, the ripple effects begin to take on a life of their own. Boone’s brother, Jimmy, kills a local deputy and wounds the Sheriff in a moment of rage. 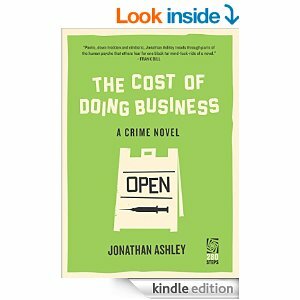 The distribution of consequences falls to Boone and he is tasked with the murder of his own brother. The ramifications for this action lead Boone to question his commitment to the town, the family, and to himself. The matter that complicates this internal struggle is Boone is married to Walter Slone’s daughter and this marriage has given them a daughter, a granddaughter that Walter Slone is furiously protective of and would never allow Boone to take from him. Saylor’s writing has great depth and he has an ability to show brutality on one page and extreme heart on the next. That allowed this book to have a deep, heartfelt vibe that resonated with me. Boone’s internal struggle between what he wanted from his life, what he has done with his life, and his biggest struggle, what will he do with the rest of his life, is a beautifully crafted piece of writing and brought this story to life. I am thrilled that this author got onto my radar. His writing is great and shows promise of even better things to come. 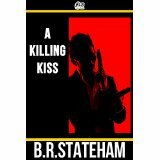 I will be looking for more from him and you would be smart to grab a copy of this book and enjoy. Put yourself into this situation: You are Dominick Prince. You have worked hard at college and have a job lined up for after graduation. You are excited about the prospects that lie in front of you. The only thing that stands between you and your future is having your college thesis accepted by your advisor. Your college advisor informs you that he will not sign off on your thesis, a proclamation that will destroy your plans and will officially ensure you have a life devoid of any hope to be successful. WHAT DO YOU DO? 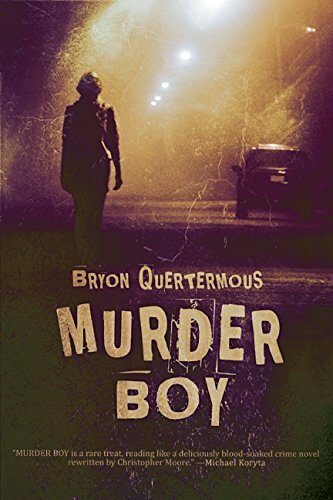 Well if you are the main character in Bryon Quertemous’ novel, Murder Boy, you would begin to plot to kidnap your advisor and get him to sign off on your thesis one way or another. The cast of characters that Quertemous has created are off the wall and more than up to the challenge of helping Prince get what he desires. The story is so well written that I got lost in the plot. There were parts where I laughed out loud, parts where I wanted the chapters to hurry up so I could find out how situations would end, and parts where I was praying the book would never end. When you put all these emotions together, you can easily see why this book was a winner in my eyes. I have read some of Quertemous’ work in some short story anthologies, but getting to read his work in a longer vehicle such a this novel, was a pleasure. 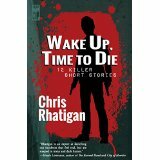 He has a writing style that is suited for short stories or novels and that tells me he is an author to watch. This book is going to be talked about for a long time, it is that good.